Military relocation comes with an array of emotions, ranging from excitement to utter dread. Anyone who has embarked on a military PCS move will tell you that the key to success is proper planning. This is particularly true when you own a home that you need to rent or sell prior to moving. If you've made the decision to rent your home when you move, there are a number of items that need to be addressed before you can pack up and leave town, and the sooner you start on this list, the better! In order to make sure your move is the best it can be, we've put together guidelines for you. Making sure that all items that could pose a danger to your tenants are fixed is important to not only safeguard you from legal action, but it is just good business. Are all emergency exits accessible and operable? Are banisters, railings, decks, and stairways secure and in good condition? Are there any electrical circuits or old fixtures that might present a danger? Step back and examine the various nuances of your home that you have been willing to put up with and determine if it is an item that should be fixed to protect yourself and your tenants. Wondering if you should tackle a repair yourself or hire it out? Take a look at the Healthy Handyman's checklist of When to Do It Yourself and When to Hire. We often address the need to stage or neutralize a home that is "For Sale," however, this is equally important when putting your home up "For Rent." Your goal is to rent your home quickly, and you increase your odds by creating a home that will appeal to a broad market. Consider painting over bold colors with neutral tones that will complement a variety of decors. Take photos of the home to accurately portray your home to prospective tenants. Research the rental rates in your neighborhood and be sure to use comparable homes to come up with an average price. Does the average rental amount cover your mortgage? If not, you may want to consider other options, unless you are in a financial position to handle a monthly loss. A rental price should not be set exclusively on the amount of your monthly mortgage payment, as you may owe more than your home can reasonably command. 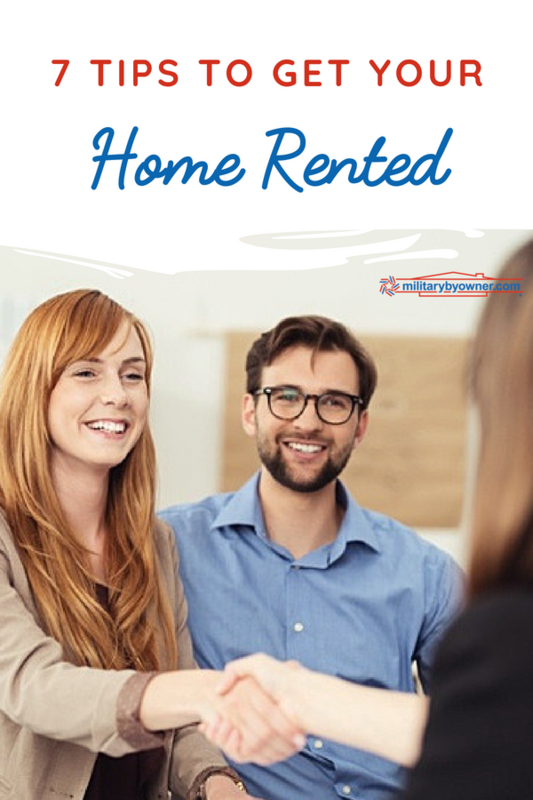 As military, we have the unique opportunity to know what a service member will receive as a monthly housing allotment and can set a rental price that is within that amount. Consider the size and location of your home, determine who your target market would be, and then determine the BAH rate and use it as a reference when setting the price. 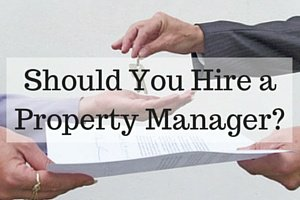 Other factors that warrant consideration are the fees incurred if you hire a property management company, as well as if you choose to include yard, pool, or pest service for your tenants. Set the price too high, and you will have a hard time renting your home; set it too low, and you risk putting yourself into a position of financial hardship. Bottom line--put the time and energy into finding the happy medium. This can be a difficult decision to make; in addition, the decision will depend on your money and time. It actually costs much less if you manage the property yourself, although you must be ready to deal with issues and even calls in the night when your tenant finds something amiss. Property management companies, on the other hand, charge approximately ten percent of rent paid on a monthly basis, but if you can afford it, it might be worth having the nuisance off your plate. Landlords desire to have tenants who will care for and respect their property. Military tenants are sought after for exactly that reason. Connecting military families was the inspiration behind MilitaryByOwner, as military members understand the plight of other military families and speak each other’s unique language. Even if you secure a military tenant, it's critical that you properly screen them. Performing a credit and background check will ensure that you are making the best decision possible. A great resource for tenant screening is TransUnion’s SmartMove. MilitaryByOwner allows you the opportunity to market your home near military installations through online advertising. Be resourceful and creative in marketing your home, considering options such as Facebook or YouTube. Pictures are a critical component in marketing, so take photos of your home to be used in your ad, Facebook page, YouTube video, or to send to prospective tenants. For tips on Real Estate Photography, visit our Pinterest Real Estate Photography board. Use your military network to spread the word about your home. It's amazing how quickly you can make contacts if you just let people know it's available! 7) Mark Your Ad "Rented"
There's no better feeling than when you can change the status of your ad on MilitaryByOwner.com to "rented." While this is a major hurdle, the journey is hardly over. Now that you have crossed this major item off your list, it's time to tackle the rest of the items that need to be completed before your wheels hit the road.